Autumn is the season of festivals, fall foliage, and lovely cool weather, providing a welcome respite after the hot summer months. For residents of Evansville and its surrounding communities, it is also the season of the Evansville Fall Festival – also called the West Side Nut Club Fall Festival. This year, the festival entered its 97th year, entertaining people of all ages with its festive family fun. The festival took place along Franklin Street from October 1st to 6th, making it nearly a week-long celebration of the fall season. It featured a full schedule of fall activities, events, and entertainment. Remarkably, the festival is considered to be one of the largest street festivals in America, routinely attracting over 200,000 visitors each year. 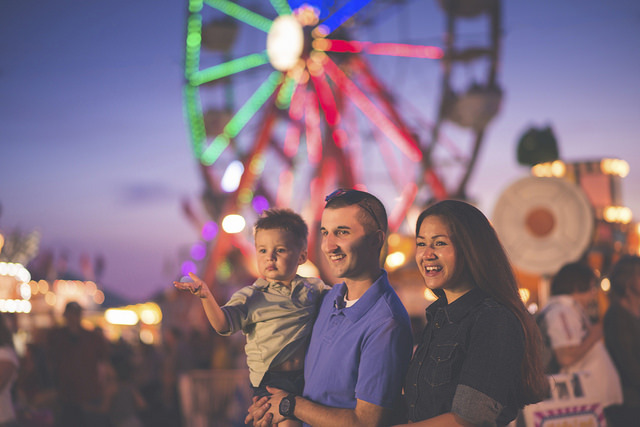 This year, the festival featured tons of carnival rides (like a classic ferris wheel and plenty of kiddie rides), lots of live musical entertainment from local artists and musicians, and over 136 food booths. There were also plenty of opportunities to take part in the festival yourself, including amateur talent competitions, contests, a pet parade, and the main parade which took place on the last day and featured marching bands, floats, and tons of fun entries. The Evansville Fall Festival takes place every year and is a community event you won’t want to miss. If you missed it this year, make a note to attend next October! We here at the Duell’s Evansville Kia hope to see you there.